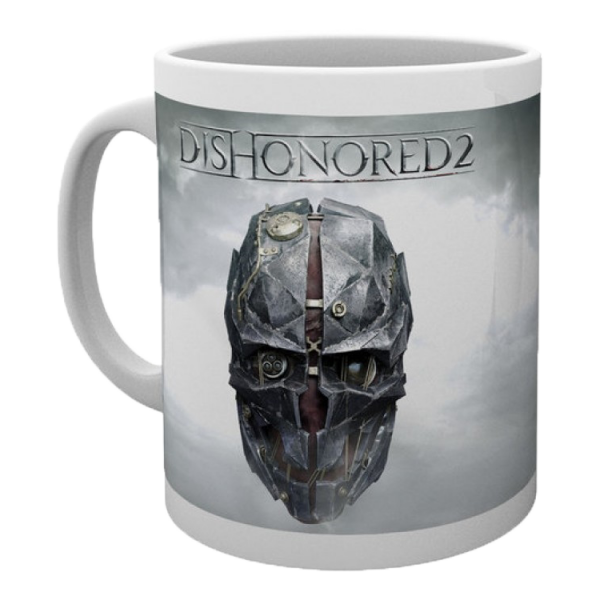 Assassins like to drink coffee as well - maybe even from this mug that shows the keyart design of "Dishonored 2", which, in addition to Corvo Attano's mask, also shows the logotype of the game. Dishwasher and microwave safe. Manufactured by GBEye.